Like us, you probably can’t remember a world without highways—a time before there were gas stations, fast-food places, or shopping centers. Well, it all had to start somewhere…and this is where. The 1893 World’s Fair in Chicago was in full swing when a gentleman walked up to a contraption that looked like a metal carriage and wound the crank on its front end. The machine rumbled and grumbled and coughed out black smoke. Then the man got into the thing and—to the amazement of onlookers—started driving it around the fair grounds. What was so strange about that? The metal carriage didn’t have a horse to pull it. It was a horseless carriage, one with an internal-combustion engine that ran on gasoline. The public’s response: They were dumbfounded, but most people loved it. Suddenly the country had a new toy, and despite the naysayers who protested against the new “devil wagon,” the car was here to stay. Auto manufacturers and investors cropped up almost overnight. In just the first four months of 1899, investors poured $388 million (about $11 billion today) into new automobile companies; by the turn of the century, more than 8,000 cars were puttering around the United States. But there was still nothing in the way of the necessary infrastructure: no gas stations, traffic lights, mechanic’s shops, or—most importantly—roads. The existing throughways were deeply rutted wagon trails that meandered into the countryside from the centers of towns and often simply ended. During the winter months, these “roads” became so unusable that most early auto owners drained their radiators and put the machines in their barns until spring. Something had to be done about America’s roads, but public funds weren’t forthcoming. The federal government saw the car as a novelty and refused to allocate funds for road building. By 1905, when the first modern gasoline filling station appeared, there still wasn’t a single mile of paved rural road in the entire country. And, as Henry Ford’s assembly line process drove down manufacturing costs, the cars kept coming. Within five years, more than half a million cars were sputtering around with nary a real road to drive on. 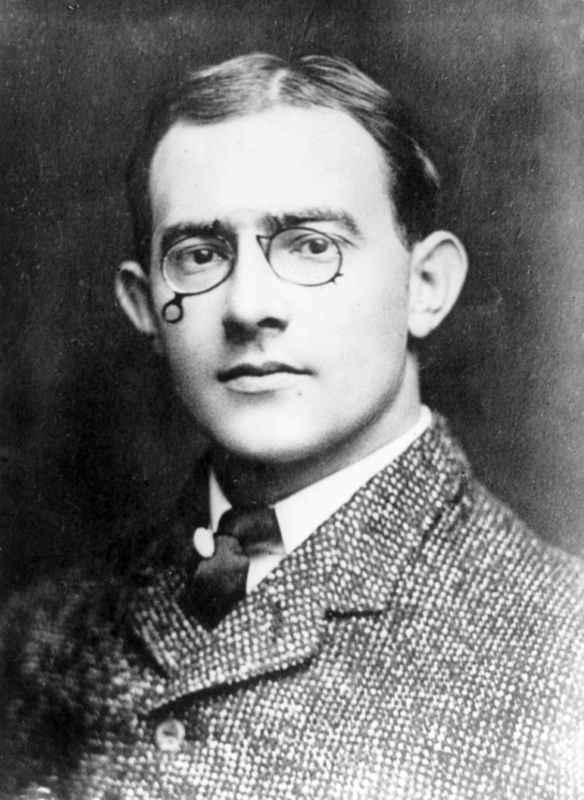 Enter Carl Graham Fisher, a former racecar driver and an entrepreneur who built a fortune selling Prest-O-Lite brand acetylene automobile headlamps. 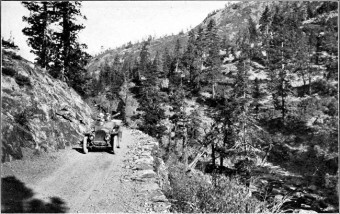 In 1912, Fisher proposed a fund drive to raise $10 million for building what he called “The Coast to Coast Rock Highway”—3,389 miles of two-lane, graveled roadbed running from New York City’s Times Square to San Francisco’s Lincoln Park. Fisher figured that self-interested auto manufacturers would recognize the benefits of the project and contribute heavily. Many did. Henry Joy of the Packard Motor Car Company jumped on board so wholeheartedly that he is now considered cofounder of the first transcontinental highway. But the man Fisher was most counting on to help would not. Henry Ford, whose company had manufactured around 40 percent of those cars sputtering around in search of a road, refused to contribute a cent. He reasoned that the public would never learn to fund road construction if industry did it for them. Fisher’s group moved ahead with the planning stages of the project without Ford’s participation. The first order of business: Choose a new name for “The Coast to Coast Rock Highway.” Other names that were proposed and rejected, included “The Ocean to Ocean Highway,” “The American Road,” and “The Jefferson Highway.” Finally, road proponents found a name they could agree on—Abraham Lincoln. 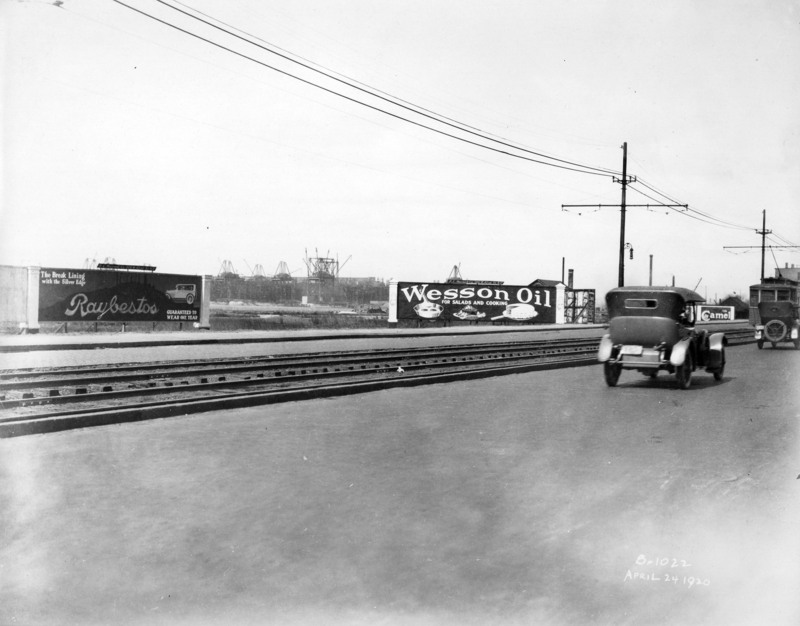 The project was officially renamed “The Lincoln Highway,” and on July 1, 1913, the Lincoln Highway Association was incorporated, with Henry Joy as president and Carl Fisher as vice president. That same summer, Fisher organized and oversaw a truck caravan he called “The Hoosier Tour,” from Indiana to Los Angeles. The tour’s purpose was to draw attention to the need for road improvement and to promote the Lincoln Highway. 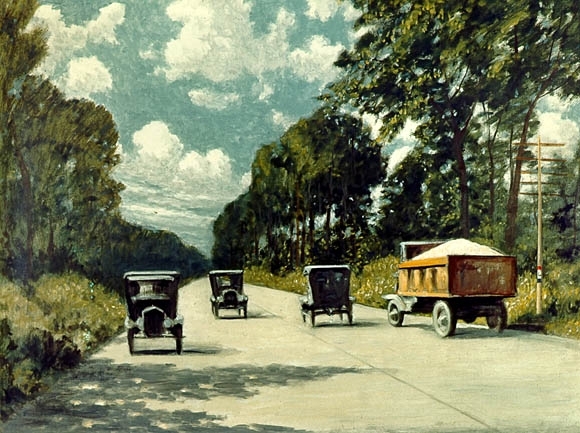 On October 31, 1913, the Lincoln Highway Association announced its planned route: starting in New York City, the country’s first highway would head Southwest through New Jersey, Pennsylvania, Ohio, Indiana, Illinois, Iowa, Nebraska, Wyoming, Utah, Nevada, and into California. In a special ceremony, President Woodrow Wilson made the first $25 contribution to the fund, and towns all across the route celebrated with parades, speeches, and bonfires. The governors of Nebraska, Wyoming, and Nevada issued Lincoln Highway Day proclamations and declared state holidays. But Fisher soon found out what Abe Lincoln knew all too well: You can’t please all the people all of the time. Almost immediately, governors of states that had been left off the route began to complain. Particularly upset were the governors of Kansas and Colorado, who had been promised inclusion. So, to quiet the protests, the Association agreed to add a dogleg from Big Springs, Nevada, south to Denver. Only problem: When other municipalities heard about the compromise, they flooded the Association with requests for more doglegs. And as much as Fisher would have liked to oblige them, he couldn’t—the Association just didn’t have the time, money, or resources. He tried to explain that the proposed highway avoided major cities in favor of the straightest, most direct path. Larger cities, Fisher believed, would fund their own connecting roads once traffic began moving along the Lincoln Highway. Two years after the Lincoln Highway Association was incorporated, construction had yet to begin. The fund was well short of its $10 million goal; Fisher was all but ready to give up. Then, in 1915, a concrete company swooped in and saved the project. It offered to donate tons of its product to the road-building effort in return for publicity and the guarantee of future contracts. Fisher’s seedlings sprouted. Cities and towns along the route, worried about the embarrassment of smooth roads turning rough as motorists drove into town, quickly connected themselves to the seedling miles. Piece by piece, the Lincoln Highway began to take shape. The project moved slowly in its first few years. During World War I, only a few hundred miles of road were completed. When the war ended in 1919, the Army sent an expedition from Camp Meade, Maryland, to San Francisco to study the feasibility of moving troops and equipment by truck, and it was a disaster. At an average speed of seven miles per hour, the trip took two months, and many of the vehicles broke down along the way. The rough journey convinced the officer in charge—a young Dwight D. Eisenhower—that impassable roads were a risk to national security and that building good roads should be the highest priority for the nation. The Army’s cross-country fiasco helped convince Congress to pass the 1921 Federal Highway Act, which provided $75 million in matching funds for state-road projects. By the time the Lincoln Highway was completed in 1923, there were more than ten million cars in America looking for roads to drive on. Fisher called the Lincoln Highway “America’s Main Street,” but it wouldn’t be the main stretch for long. 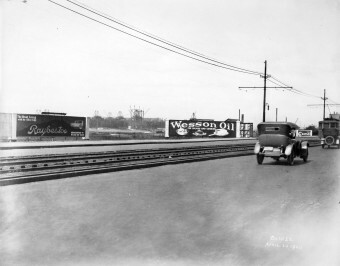 Several other highways broke ground in the 1920s—the Jefferson Highway from Detroit to New Orleans; the Dixie Highway from Bay City, Michigan, to Miami; and the William Penn Highway across Pennsylvania. Soon, dozens of new highways spidered across the nation and created a new problem: confusion. Some roads had telephone poles covered in signs bearing multiple names for each section of road. As for road maps? Forget it. Any given stretch of road could have up to five different names. In 1925, the U.S. Department of Agriculture, which had been given oversight of federal roads, began planning the system of numbered routes that is still in place today. North/South highways were given odd numbers, and East/West roads were given even numbers, with transcontinental routes always multiples of five or ten. Much of the Lincoln Highway became U.S. Route 30. In a massive undertaking, the Boy Scouts of America placed 2,400 concrete markers denoting its course, all at 1:00 p.m. on September 1, 1928. Today, many stretches of the old Lincoln Highway still exist, and there are well over 200 million cars in the United States. But as anyone who has ever driven a paved highway can attest, the quest for smooth roads is far from over. The highway numbering system was started in Wisconsin. When the national gov’t wanted to create a standard system, they saw what Wisconsin had set up, and adopted that. Denver is not south of any point in Nevada. The author probably meant Big Springs, NE (Nebraska). The town is at the corner of the “notch” where Colorado and Nebraska share a border. There is a big Lincoln Highway memorial on Interstate 80 a few miles east of Laramie, Wyoming, that marks the high point, altitude-wise, of that Interstate road. 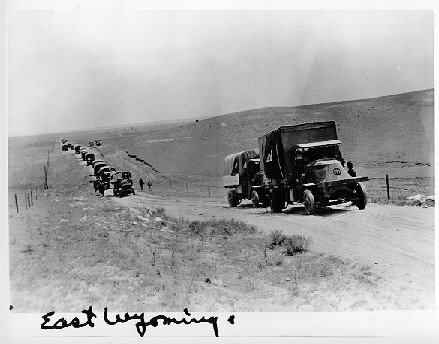 The Lincoln Highway is noted as being “on that ridge to the west” or words to that effect. Plaque celebrating Henry Joy, and a big statue of ol’ Honest Abe. I drive U.S 30 at least five days a week In Western PA. WQED (based in Pittsburgh) produced a great documentary about it, but it’s likely available through any PBS station. Bonus Fact: The narrator, Rick Sebak, is our local PBS affiliate’s historian, and has made 14 other national shows in addition to “Ride Along the Lincoln Highway.” Really nice guy; he helped me with some college research back in the 1990s.